If only there were enough words to describe my love for the city. 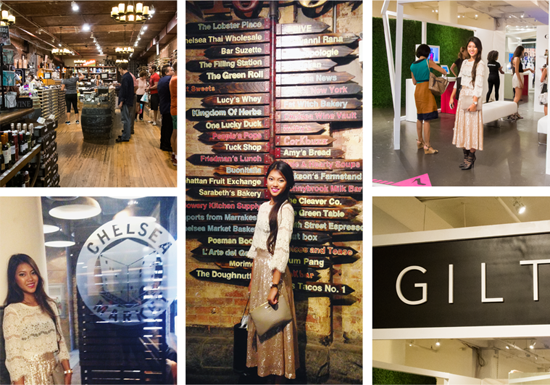 New York Fashion Week is over, but I can honestly say that I still remember it so clearly, and I've been dying to share with all of you my experiences from my week in NYC, and now, here it is! It was my first time traveling alone on a plane, so that was a nerve-racking first-step for me to take, but now I can fly solo like a pro. As I landed in New York, I had my amazing aunt waiting for me. I can't thank my Auntie Jenny enough for everything that she did for me. She took care of me for the whole week, accompanied me to all the events that I attended, and even played the role of my photographer ( Sai...Sister of Skai ;) ) all throughout her work week. If you are reading this Auntie, getting the chance to spend time with you really made being in New York a greater learning experience for me, and that was just what I needed to help jump start the upcoming year. Thank you for all your insights, knowledge, and wisdom; I love you! The beginning of my first day was a bit sluggish since I was still adapting to the time change. That evening, however, I attended the #FashionTruth event hosted by Modcloth, and enjoyed tapas at BARCA for dinner (absolutely delicious). After eating at that restaurant, my favorite food is now Spanish food. The next day was a little bit more busy considering that it was the first day of fashion week! 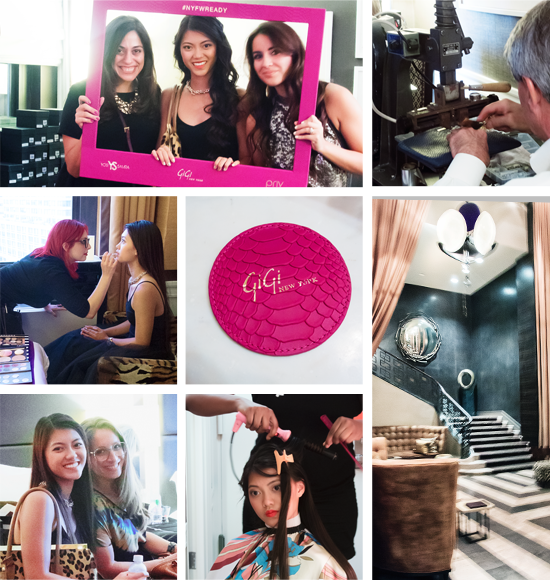 That evening I attended the #NYFWready event hosted by GiGi New York, Yosi Samra, and Priv at the Empire Hotel. A coincidence it was as well since the Empire Hotel is the hotel from one of my favorite TV shows, Gossip Girl. 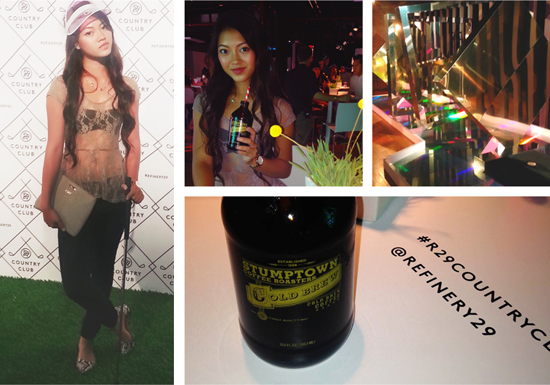 I am so grateful to have been invited to this event, which was also the perfect way to kick off #nyfw. The attention of getting my hair, nails and makeup done by Priv, had me feeling like a princess throughout the night, and the connections that I made was price-less. The event was everything, and more than I had hoped for. I would also like to give a huge shout out to the LuLu*s team for making my experience in New York even that much sweeter by sponsoring two gorgeous dresses, shoes, and clutches sent out via next-day-air for me to wear to some of the events that I attended -- I am so grateful. 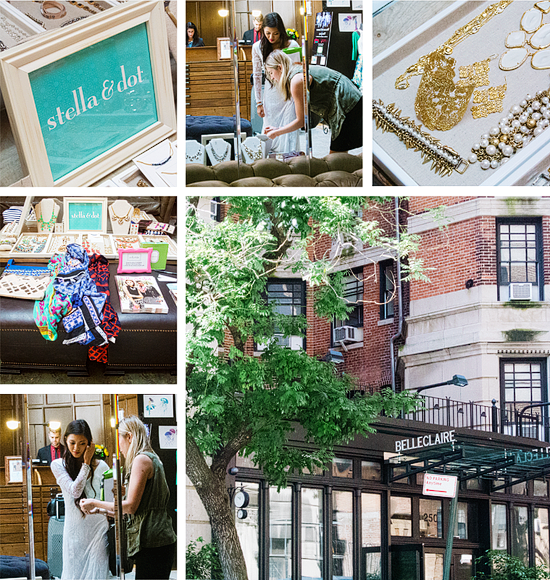 I felt like a complete show-stopper strutting around New York in LuLu*s from head to toe. People were taking pictures of me, wanted to take pictures with me, and even asked me what designer my clothes were from! I could continue to ramble on about each and every thing I did each day, but that's not what I find most important about this experience. Being in New York inspired me. It gave me a whole new outlook, and reminded me of why I am doing what I do. This experience has given me the oxygen to fuel my fire, and because of it, I'm ready to push forward, work harder, and get where I would like to be. I'm still unsure as to where all this will lead, but as long as I'm willing to put forth the work, I know something good will come out of it. And to my parents, thank you for sending me to New York and giving me the chance of a lifetime experience. Both of my parents work very hard to give my brother and me such blessed lives. They have opened multiple doors of opportunity for me, and give me the support and guidance to help me with any journey that I choose to take. That is also why I never want to come back from any experience with nothing. My parents are always hoping that these experiences help build me as a person, and although I did not come back from New York literally taller, skinnier, or less clumsy, there is something in my heart that New York has engrained in me, and it has opened my eyes to all of the possibilities out there. My parents have always drilled me with the idea that with hard work, anything can happen. Through them, and being in New York helped me see it first-hand. Any person out there can do amazing things. It's just a matter of whether or not you are willing to work for it, and I now, in everything that I do, I need to ponder the question "How bad do I want this, and how hard am I willing to work for it?" Sometimes, when we ask ourselves those types of questions, we tend to lie to ourselves, but maybe being aware of the fact that it can happen may help us choose the real answers. Thank you again to my parents for giving me this opportunity. Every time I think back to it, it reminds me of who I want to be, and what I want to do. I love you both! Some of you may already know, this wasn't my first visit to NYC, I was 13 on my first visit, and like it did then, I was, and still am swept off my feet. However, the experience that I had from this visit was different from the last. It made me realize that the "big city" is where my heart belongs. Don't get me wrong, I do love my hometown, it is a great place to grow up, but I'm ready to venture forward and see what is out there for me. I'm ready to experience life in place that is lively, and rich in the abundance of art and culture. I'm excited to see what this coming year holds, and am so thankful for the love and support that I have received. It is through your love that has nurtured my heart to dream bigger, and through your support that has giving me the strength to go after my dreams.